Thanks for keeping us informed, and for all your work! I'm looking forward to the playable Hapes Consortium and the new art for the EotH and New Class ships. I'm psyched for Imperial Civil War! Thank you for letting us know the team's projects and for your hard work. As we finish up the last bits of Imperial Civil War (we're still aiming for a release this Thursday, fingers crossed), we wanted to take a moment to talk a bit about the what the future holds for Thrawn's Revenge. We've been planning to do this since Mod of the Year concluded as a thank you for all of the amazing support we were shown in 2017, but never quite got a chance with everything going on. This post will cover the rough structure for the next couple releases as well as some general information about the future of all 3 of our major projects, Imperial Civil War (Empire at War), Ascendancy (Sins of a Solar Empire) and Fall of the Republic (Empire at War), each in its own section, but first I want to talk about multiplayer. One of the most common questions we've been asked since Petroglyph enabled multiplayer again for Empire at War is whether Imperial Civil War will support it. Basically, yes we will, but while skirmish will be available right away, because of some of the differences between singleplayer and multiplayer functionality in EaW, we need to spend a lot more time working on multiplayer-specific stuff; it's not quite so simple as just porting over a singleplayer scenario to multiplayer, considering that a lot of the new functions and features in the mod require certain things only available in singleplayer, so it will take a bit more time. One of the biggest takeaways for us in the development of 2.2 and Ascendancy 1.1.5 has been the value of structuring the releases in such a way that we focus more on specific bits of the mod as a major theme for the update, and release more often. 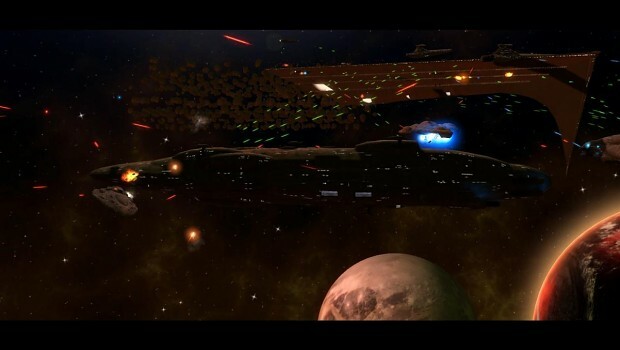 We never intended for the 2.2 release of Imperial Civil War to take four years, but that is ultimately what happened, and that is what we aim to avoid. While the major theme of that update has been "The Warlords," its subtitle, it has essentially evolved into an almost complete rework of the mod graphically, in gameplay, and in narrative. We're pretty happy with the direction we're taking the mod in, but there's always more we want to do, and we want to make sure in pursuing that, we don't leave people out in the cold playing on older builds when we could have more significant, focused updates more often. Most importantly, as we progress and the mod gets more and more complex, the potential to break something increases, and we want to make sure we catch those things early and don't let them break more things down the line. With that said, let's jump into the plans. Please, please keep in mind that while we're trying to include rough planned periods for when to expect the first of each mod's listed releases, any number of factors can change that wildly- we could have additional staff join that speed up the process, or an asteroid could hit my computer and very much slow it down. We're just trying to ballpark it here. Also, keep in mind that while we're listing the following two releases for each mod, the second one will typically have less specific details, because it's both farther off and contingent on what happens in the immediately forthcoming one. Our goal here isn't quite to give specific unit lists or go into every change being planned for a release (so, don't expect things like unit lists), but instead to give some idea about the major goals for each release. Some things, like general upgrades to visuals, are always going to be part of each release, but with Imperial Civil War, which is far more established than Fall of the Republic or even Ascendancy we've essentially decided on a rule of thumb where we're going to try to do about 80% redone content, 20% new content- this way we can continually try to raise the bar of the overall quality of the mod, while still providing new things to play with in each release. While the primary focus of the team since Ascendancy's last release has been to get ICW2.2 out, we have been setting the groundwork for the next couple versions of Ascendancy, with Bane in particular working on setting up some of the ship entities for the Hapans while we've been talking about some of the broader directions to take the mod in. Our original plan was to jump straight into the next faction, but we decided ultimately that the mods as a whole would benefit more from taking another interim release to focus primarily on balance and other holes within the mod. - Address major balance issues, flesh out certain factions/subfactions more. This is the primary goal, and we'll have a more in-depth post about this as soon as we can. - Updated art assets (several have been done for ICW2.2, including the Lucrehulk, Mon Calamari Cruisers, etc, which will all make their way into Ascendancy. 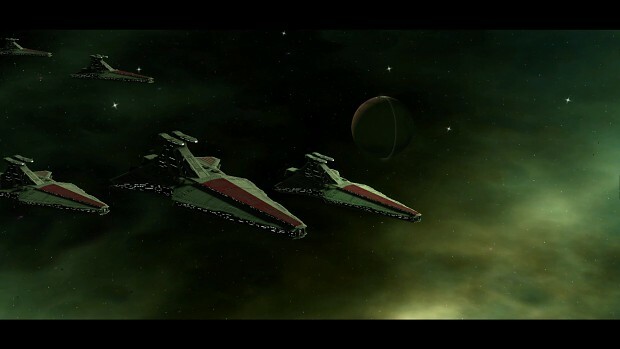 Because Fall of the Republic, our Clone Wars mod, is still heading towards its first release, there's less specific information about what we want to change- basically, you can expect Thrawn's Revenge style gameplay in a Clone Wars setting. One of the bigger things to talk about here is that we've tried to streamline development between ICW and FotR as much as we can, in that we have structured things within the mod folders so that we can work on the files common to both mods at once, meaning the only things we have to edit separately for each mod are the ships and heroes specific to each instead of all the extra things like planets, projectiles, scripts, etc, allowing everything to be done much faster. On the whole any goals which apply to the Imperial Civil War, you can also generally apply to Fall of the Republic.